Ready to ship for the holidays and the perfect gift under $20, which includes shipping! 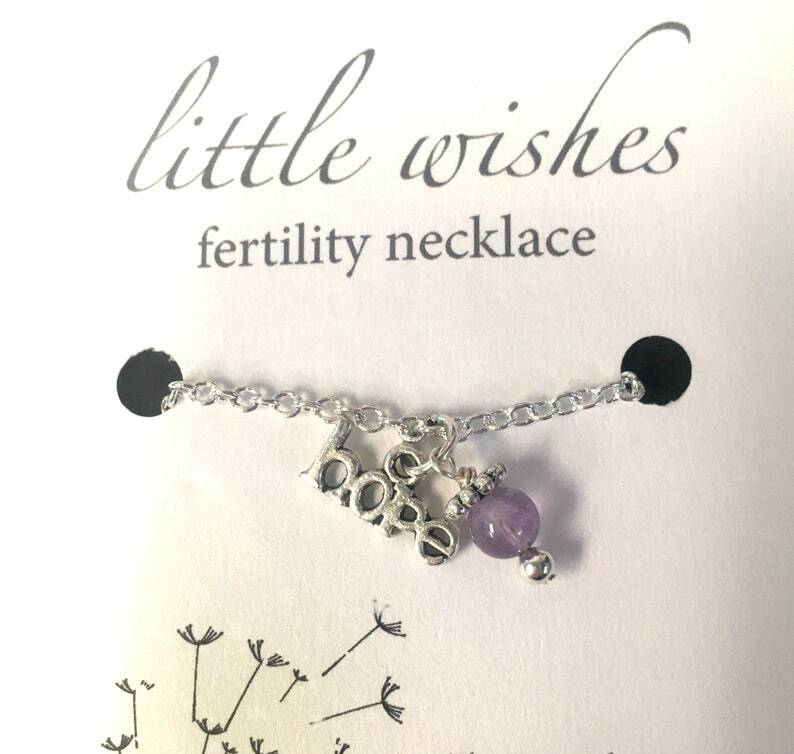 This fertility necklace is the perfect gift for a trying to conceive friend, new bride, loved one, or a treat for yourself. 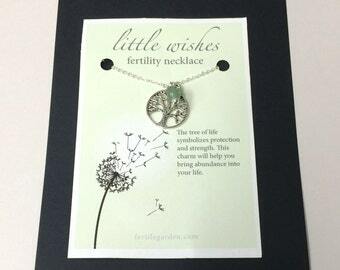 Encourage positivity within yourself and enhance fertility while wearing this Hope fertility necklace! Choose your own personal gemstone boost! Necklace is shown with a amethyst gemstone dangle. Hope charm is intended to give hope and inner peace to the wearer. "I'm sorry it took so long to respond but I wanted to wait this long for a reason- I will be 12 weeks pregnant tomorrow! I don't know if it was the necklace or the clomid/ovidrel shot combination or both but I am pregnant and that's all that matters! I have not taken it off since I got it and I am so thankful to have it! Thank you so much for being part of this amazing time in my life!" "...thanks again - i just found out last week that we're expecting :) :) :)"
"We're almost 16 weeks along with a healthy baby! Thanks again for everything!" "i bought a piece of jewelry from you for my sister in-in-law two years ago (she was successful!)"